New York, NY – Finding the perfect gift can be daunting, and with the holiday rush, added stress is the last thing we need. Whether you are shopping for your family, best friend or even coworker, checking them off your list doesn’t have to be as hard as it seems. 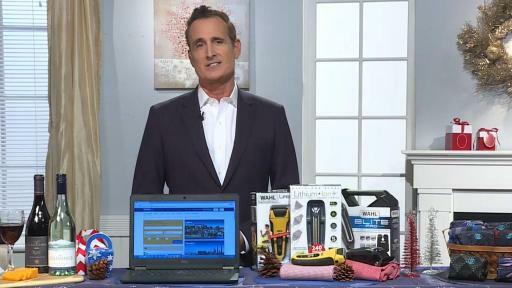 Trends expert Andrew Krasny shares some of his favorite gift ideas to make sure you get through your holiday shopping list headache-free. Last Minute Gifts: It’s always a clever idea to have some last-minute gifts on hand. Keep a small supply of gifts like homemade jams, and a few well-priced bottles of wine like Deutsch Family Wine and Spirts. If you’re looking for a white wine, this New Zealand Sauvignon Blanc from the Crossings is crisp, refreshing and available for under $15. If you’re looking for something more special, try The Calling Pinot Noir, a premium, handcrafted red wine from Sonoma, CA that costs around $37. Be Practical: You don’t need to break the bank to find the perfect gift this holiday season. For the tall men in your life who have difficulty finding socks that are comfortable check out tallorder.com. They are an online brand that offers stylish socks for men with big feet, shoe sizes 12-20. Whether it’s a business meeting or a night out, men will find style, quality and comfort. And, a percentage of profits will be donated to Tuesdays Children, a non-profit founded in the aftermath of September 11th to help communities dealing with traumatic loss.